Our clinic proudly uses the best diagnostic equipment. 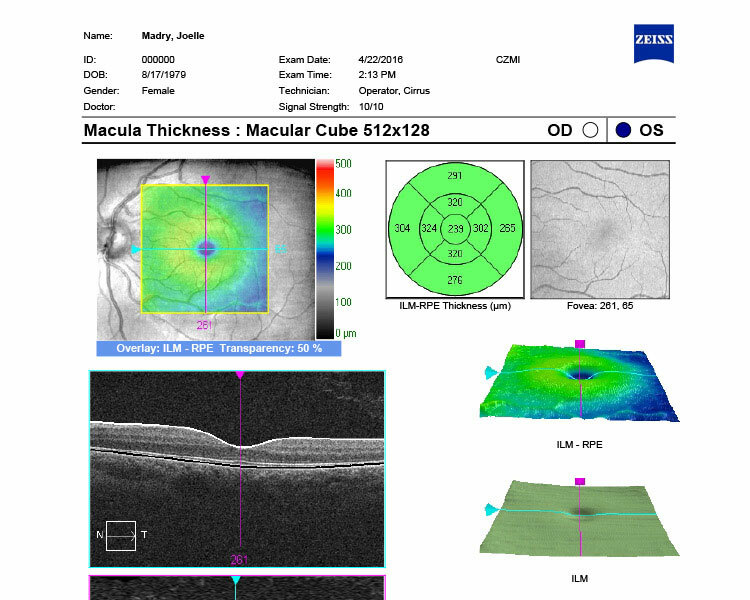 An optical coherence tomography is like a CAT scan of your eye. 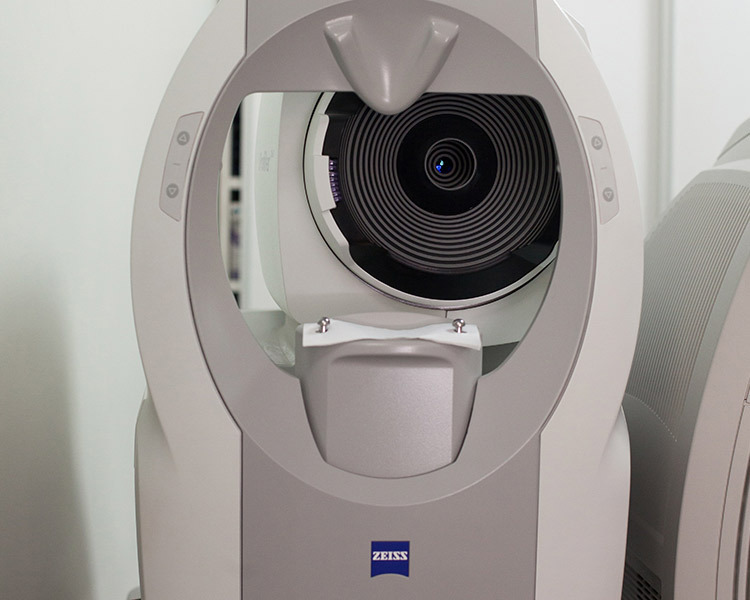 It is cutting-edge technology that allows our optometrists to see structures with a resolution of microns. It uses no radiation, therefore no harm to the patient. 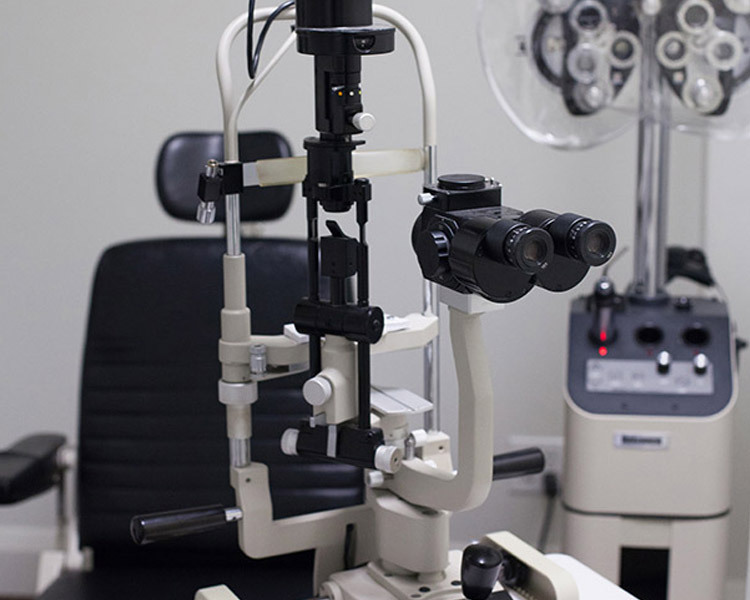 It allows our optometrists to visualize microscopic structures such as the very important retina and optic nerves to diagnose glaucoma, macular degeneration and more. 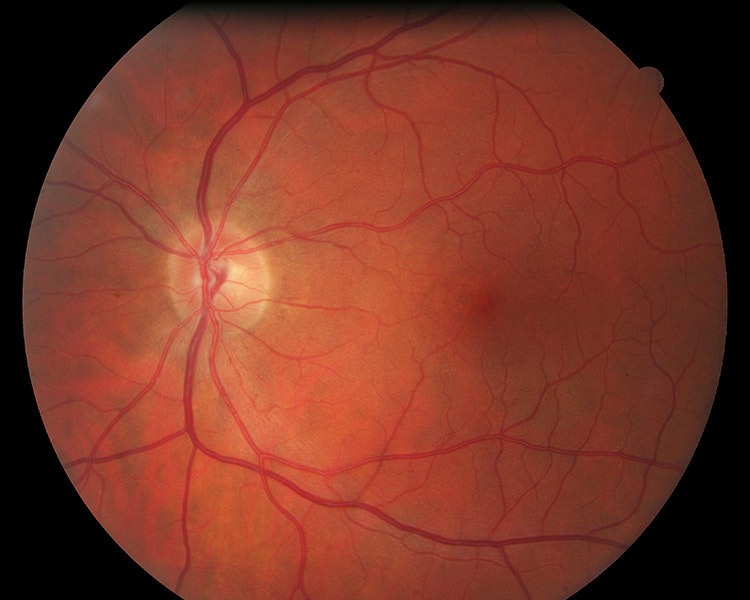 This advanced retinal camera allows our optometrists to take pictures of the inside of your eye. Every eye has a unique pattern, much like a fingerprint. During your complete eye exam, you will be shown these remarkable photos. 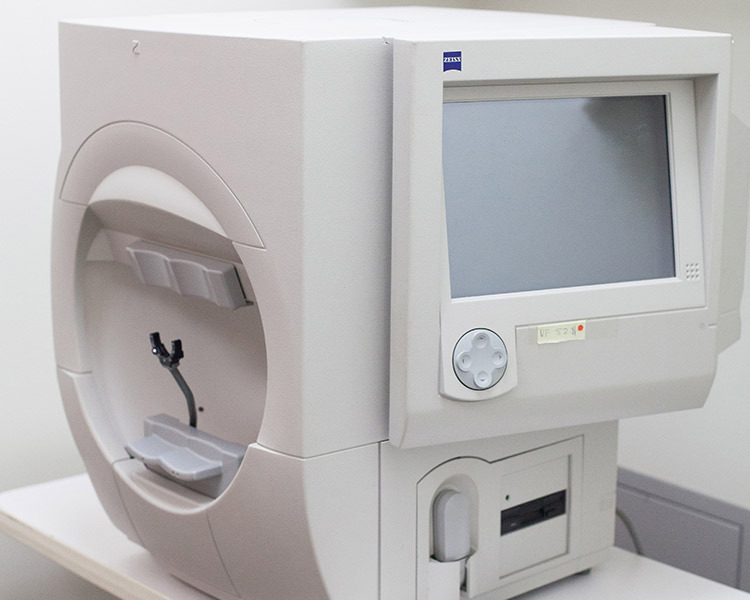 This state of the art visual field analyzer allows our optometrists to measure your side vision very precisely. This is critical in management and diagnoses of glaucoma, neurological disorders (such as brain tumors) and genetic retinal degenerations. 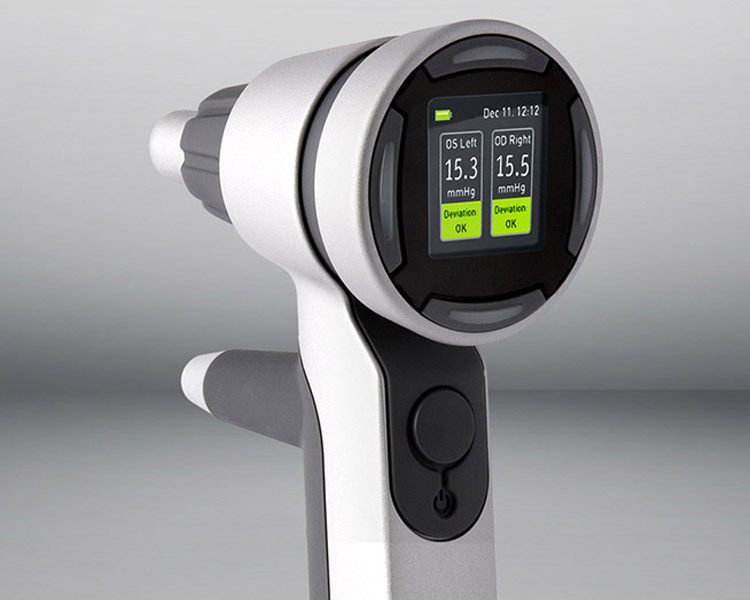 This innovative tool measures your individual eye’s optics, using a high resolution sensor. In just seconds, the iProfiler maps thousands of points on the corneal surface of the eye! 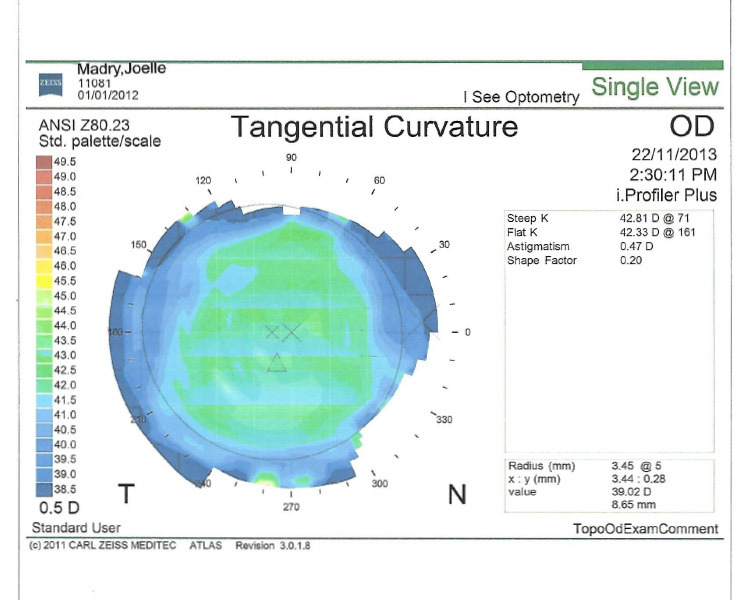 Corneal analysis provides important information, above and beyond an eyeglass prescription, that can help to optimize the quality of your vision. 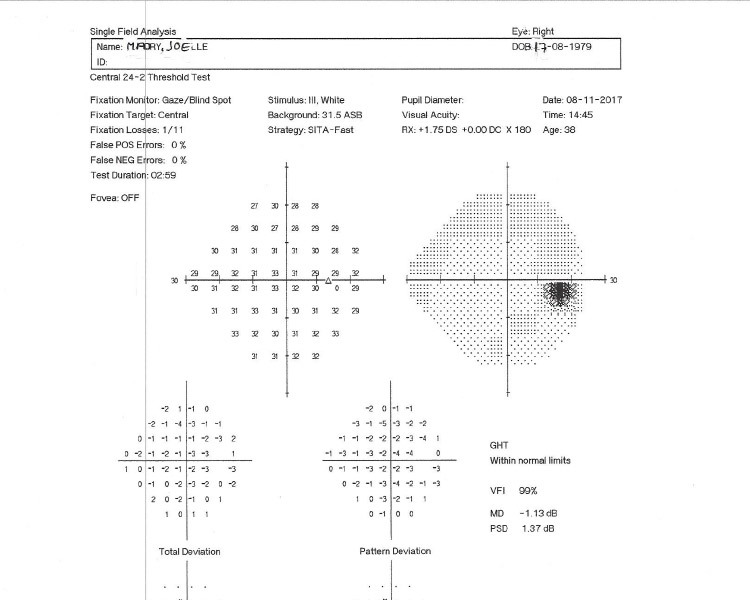 These measurements are critical for refractive surgery, and for the detection and management of corneal pathology, such as keratoconus. 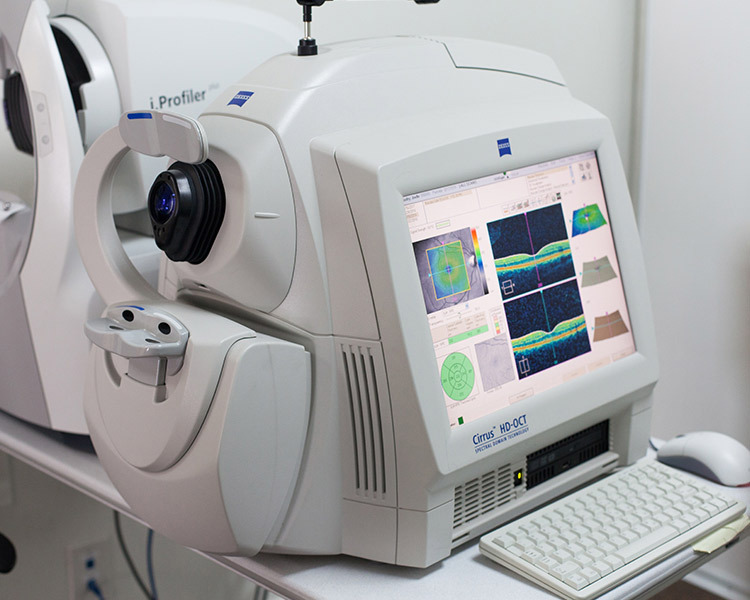 A biomicroscope allows our optometrists to see in great magnified details the important structures of your eye. A Haag-Streit biomicroscope is considered the best one on the market! 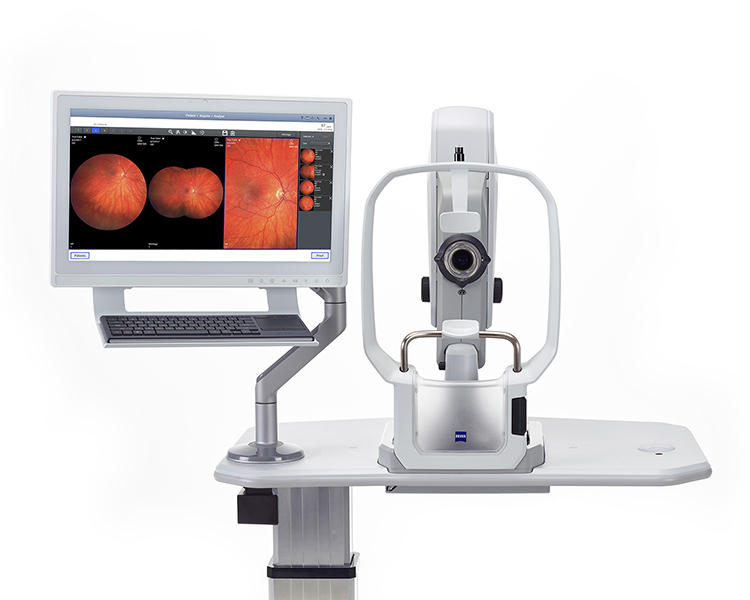 We were the first clinic in Ottawa to use this leading edge measurement of intra-ocular pressure. It does not require the uncomfortable puff of air or numbing drops. Intra-ocular pressure measurements are important for the diagnosis and management of glaucoma.